Hello, guys, we hope you all are doing best. Here, We are going to share a 100% Trustable, Secure Fantasy sports website named as Halaplay Fantasy Now there are so many platforms which provides you real money. Fantasy sports is one of the most popular platforms in the Indian people. The reason behind the popularity of Fantasy Sports is that there are plenty of Indian people who love to play Cricket and Football. If you still don't know What is Fantasy Sport and How to make money online by just using your Gaming knowledge, then you are at right place. You don't know many people are earning huge money from different Gaming Sites and Apps. Halaplay.com is one of the best Fantasy sites through which you can earn easily real money and this money you can add directly to your Bank Account. Let's go ahead for the beginners and try to understand the whole concept of these games. What is Fantasy Sport- A sports company offers you to create your own team on their website which includes both team players and they asked you to join the different paid league. Join your suitable league and win more cash prize. Actually, it's all depends on you that how much money you can afford to play these games. One thing we are also trying to tell you that only above 18 years of age Boy/Girl can play that type of game. There are many states in India where these games have been banned because of they have some rules. But if you are a genuine player of Dream11.com, so we are advising you to play on Halaplay. Halaplay Fantasy- Halaplay Fantasy is also an online gaming platform from where we can create our own team and win real money. All your transaction has been secured here, you can easily add and withdraw money without any tension. We have already used it and won real money. You can check it below. It's very easy and you can find a very low competition here. The main point is that you can select each player until the last minute of the starting match which is not fixed in Dream11, Playerzpot, and BalleBaazi. How to Sign Up on Halaplay:- This is a very important step for earning a Cash bonus and playing paid matches. Before playing you should have to get registered on Halalplay Fantasy. Follow these steps and earn your Cash bonus. First of all Click on this "Link". Here, you have to Click on "Sign Up" just on the left side. One thing keeps in mind that doesn't Sign up via Facebook because if you have done like that you are not eligible to get the Cash bonus. After Clicking on "Sign Up" option fill your Name, E-mail Address, and password click "ok". Next, after that Create your Unique username, Enter your Mobile Number and Check weather here Referral Code is given or not if there is not Referral Code put our referral code- JshrMWQVD. 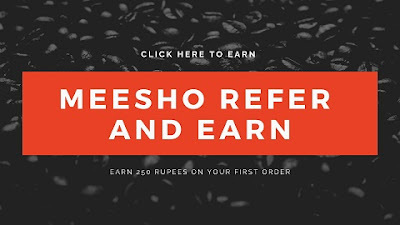 Click on Submit and Congratulations you can see a total Rs 100 in your wallet. You can use 100 % Cash bonus only in their Grand league. How to Create Team:- To take part in any league you should have to make our own team. You can select a total 11 players from both teams. The ratio of players from each team must be 7:4 means, you can select maximum 7 players from any team and minimum players would be 4. So, Let's take a look that How can we create our team on Halaplay Fantasy. Firstly you have to go to "Match Center" and select any match and Click on "Enter Lobby". After that, they asked us to select any paid league and choose the different league which suits your money in your Halaplay Wallet. Select any league and Click on "Enter". Here, you can see many players are there from both teams. There are 100 Credits available to every player to create their team. You can easily create your team in Cricket via categories like Batsmen, Bowler, All Rounder and in Football you can select players like Defender, forward etc. When you create your team you have to select your One player as Captain. So choose your Captain wisely and Click on "Save Team". Successfully, you have created your team. Once you made a team you can easily edit your players until the last minute of the Starting the Match. Every player has been given 3 points weather Captain took 6 points. For every single run got 1 point and for every Wicket, the bowler has been given 20 points. When Batsmen hits a 4 and 6 get extra 1 and 2 points. For every Duck batsmen got -5 points. For every maiden over in ODI and T20 bowler gets 10 points. In Halaplay Batsmen's key role is their strike rate during a match and Bowler have the economy rate. Normal Leagues:- Normal leagues are those leagues in which you have to create your team with best performing players means in Normal League choose high-performance players. Team with maximum points are the winners. Reverse League:- Reverse Leagues are opposite to normal league means you have to select low scoring players in your teams. Team with minimum points are the winners. Adding money:- Halaplay is 100% genuine website so you can trust them. They keep updating their adding money feature means time to time they bring new promo codes for the users so that users get more cash bonus. You can add money to your Paytm Wallet, Netbanking, Debit Cards, and PhonePe. Now they are providing 15% more cash bonus when you pay with PhonePe/UPI. Refer and Earn- Halaplay provides you unlimited referral means you can share your referral link or referral code to your unlimited friends. When your friend joins with your referral you will get Rs 50 as referral amount and your friend got 100. But when your friend adds Rs 50 in their Halaplay wallet then again you will get another Rs 50 bonus. So, Keep sharing and playing Halaplay Fantasy. 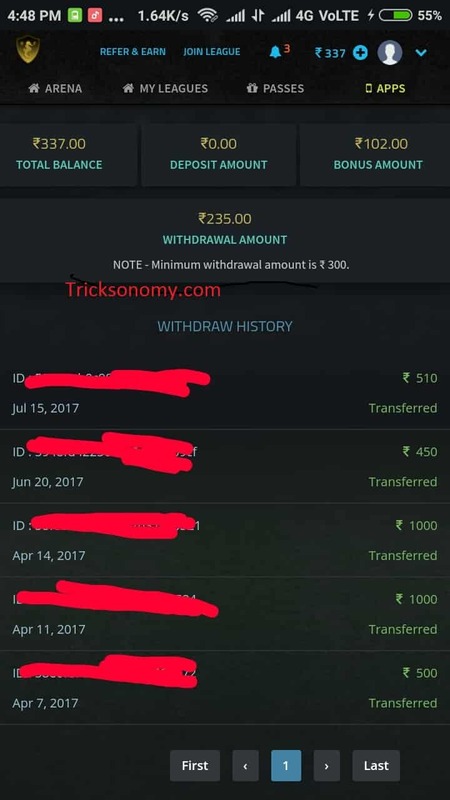 Withdrawl Process:- When you look up into your Halaplay Wallet and check winning amount. once you see Rs 300 in your winning section, you will be eligible to get Withdrawl your winning. But before withdrawal process, you should have verified your Phone Number, E-mail Id, and Your Pan Card. Halaplay checks it properly and verifies your account in 3-5 working days. You can Withdrawl from Rs 300 to Rs 2,00,000 in Halaplay. Final Thoughts!! 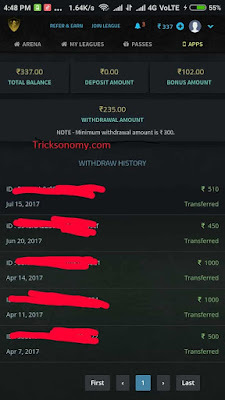 :- As our point of view Halaplay Fantasy is better than Dream11 because there is the low rush and low competition so that you can easily make money online. Deadline in Dream11 is stopped before 1 hour of the game starts but in Halaplay you can edit your team until the last minute of a deadline. So, we recommend you to play the low competition game.